My name is Shelah Marie, I live in Miami, FL and I am a Meditation Enthusiast. I love the unapologetic way you celebrate your curves and shape. Why is this important to you, to do so? I used to literally hate my body, and some days I still struggle with body image, but I noticed that I was so mean to myself. People would be telling me, "Shelah you look great stop complaining," but when I looked in the mirror all I saw was flaws. When I started sharing this journey using #curvyncurly I was shocked at how many women were sharing a similar experience. 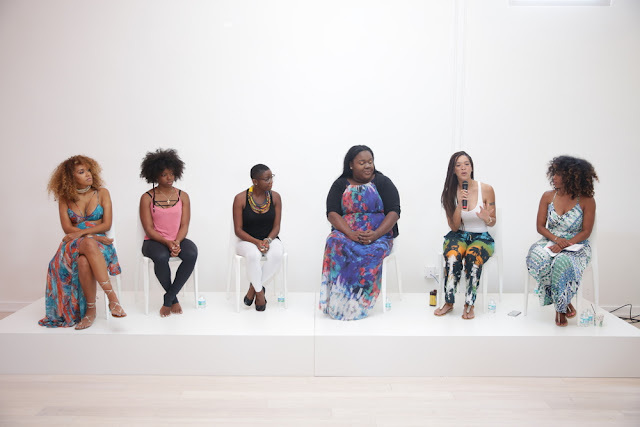 That's when it became even more important for me to use my voice to encourage other women to move themselves. 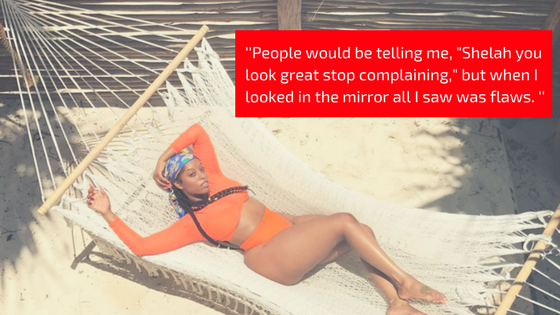 It was challenging because I had to re-program myself to think positively about my body. The main problem I would face is negative self-talk, and not letting that get the best of me. You mentioned that you faced negative self-talk, could you explain where that came from and how you overcame it. Is it something you still struggle with? I would describe negative self-talk as anything that is in your subconscious mind that tells you that you aren’t good enough. It’s different for everyone but for me it was actually the voice of my mother telling me, “You can’t do that.” or “It will never work.” I internalised those fears; and I still deal with them at times. The negative self-talk is not something that I am looking to delete or “get over” because that’s not how it works. I am really looking to work with them...and to dance with them. Have you ever experienced any times where you couldn't find clothing that was your size? Has the inclusion of plus-size made you embrace your body even more, or did it help to encourage what you were already celebrating. I have been in circumstances where clothes did not fit me or they weren’t flattering but I am definitely more more confident now and I would say that my confidence more due to my internal acceptance of who I am. It’s not really due to outside validation. I used to cover myself up and wear huge clothes because I was ashamed of what others might think of my body; but now I realize that it doesn’t matter what they think. I don’t care what people say because I accept me and I feel like I look good on the inside. I like me just the way I am. Please tell us what is the Curly, Curvy, Conscious movement? Curvy, Curly, Conscious is about loving yourself from the inside out. 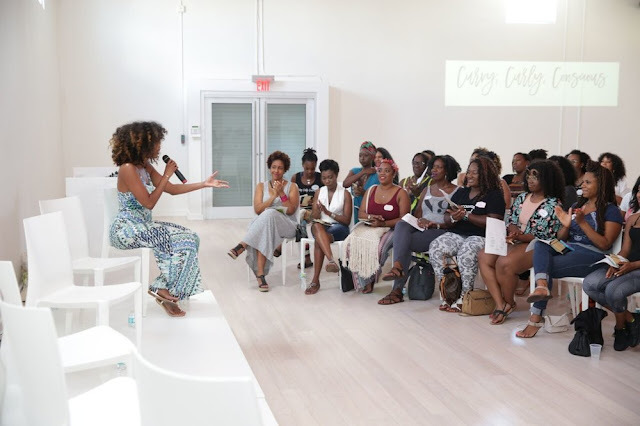 I created it to serve as a place where women could unapologetically pour into themselves, in a fun and light environment. We create beautiful and honest experiences for our ladies because they deserve to experience it. 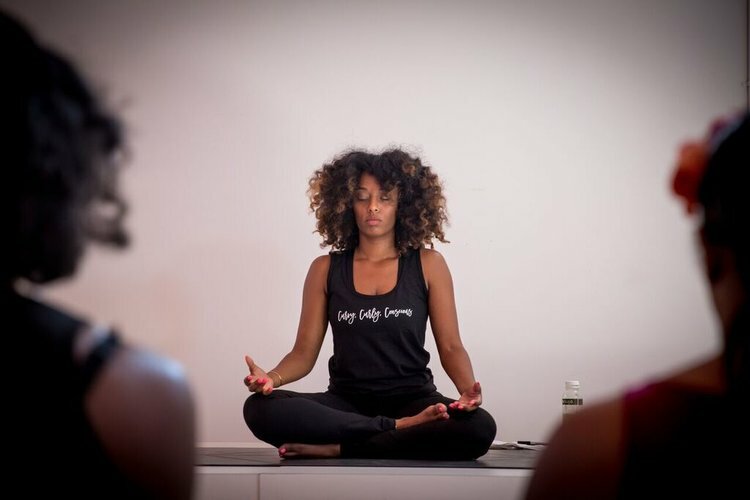 The CCC experience focuses on promoting self-love, personal development, meditation, and physical wellness, with the ultimate goal of providing individuals with the tools and resources to be able to live a more elevated life. Meditation is something you practice, how has meditation enhanced your life and why you decided to create a meditation mixtape? Medication enhanced my life because it allowed me to sit with myself, accept myself, and love myself. I decided to do a mixtape because when I first started meditating I wasn’t able to just sit in silence and I wasn’t connecting with the music and meditation apps that already existed. I wanted to make a mixtape that was in a voice that I could connect to and resonated with me. I wanted something that was lite and not taken to seriously and something sounded that was familiar like the voice around me in my everyday life. My skin. I love everything about my skin. 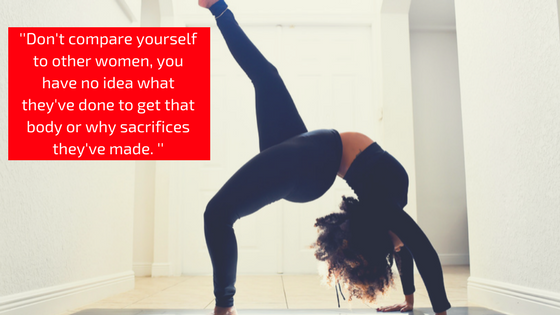 Don't compare yourself to other women, you have no idea what they've done to get that body or why sacrifices they've made. Focus on finding things you love about your body and remind yourself of those positives as much as you can. I celebrate my body by being good to it. I take care of it by putting in nutritious, whole foods and as much as possible speaking nicely to myself while being aware of what outside influences I put into my body. I also go easy on myself when I don’t live up to my own expectations. 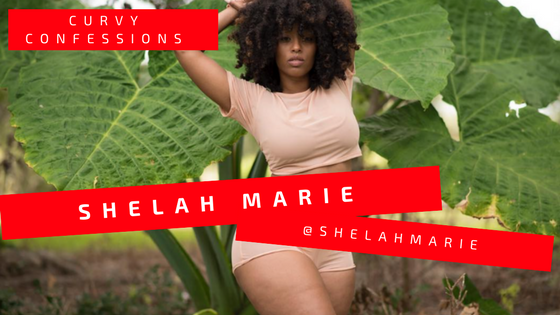 Many thanks to Shelah for interviewing with me for Curvy Confessions. I love the message you promote and share with everyone! Stay being amazing! !